The New Zealand electoral system has been mixed-member proportional (MMP) since 1996. MMP was introduced after a referendum in 1993. 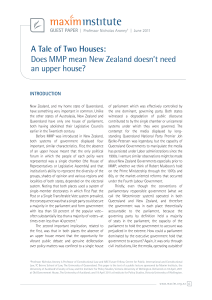 MMP replaced the first past the post (FPP) system New Zealand had previously used for most of its history.New Zealand has one House of Representatives, usually with 120 members, although the number can increase because of (generally) one or two overhang seats; depending on the outcome of the electoral process. The term of the New Zealand Parliament is set at three years. Whichever party (or combination of parties) wins the most seats at the general election becomes the Government.In contemporary New Zealand, generally all permanent residents and citizens over 18 are eligible to vote. The main exceptions are when a person has been living overseas continuously for too long, has been detained in a psychiatric hospital, or since 2010, is currently a sentenced prisoner.Historically, New Zealand was the first country in the world to give women the right to vote – in 1893. This meant that theoretically, New Zealand had universal suffrage from 1893, meaning all adults 21 years of age and older were allowed to vote. 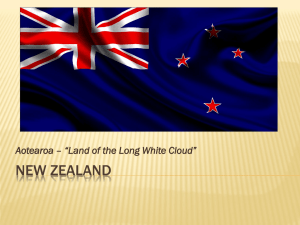 However, the voting rules that applied to the European settlers did not apply to Māori – and their situation is still unique, in that a number of seats in the New Zealand parliament are reserved exclusively for Maori.